Der EMU Australia Beach Mini ist ein bequemer und dennoch stylischer Ankle Boot mit australischer Merinowolle, um die Füße das ganze Jahr über warm zu halten. 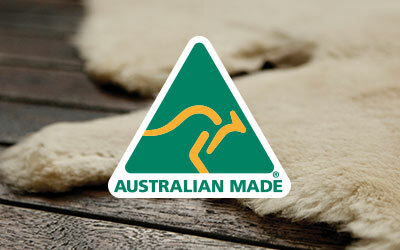 Premium-Wildleder und Futter aus australischer Delux-Merinowolle. Merinowolle ist atmungsaktiv und hält deine Füße kuschelig warm im Winter und angenehm kühl im Sommer. Ausgeformte Fersenmulde aus Wildleder schafft eine bessere Passform und Halt. Anatomisch korrekte, weiche Schaumstoffsohle für Halt und Komfort. Weiche EVA-Zwischensohle im Keilabsatz für Komfort und Halt. Strapazierfähige, verschleißarme und biegsame Gummiaußensohle. Von unserer Herkunft inspiriert, greift der Beach Mini den Stil unseres Original Lammfellstiefels auf. Hergestellt aus natürlichem Wildleder und rundum mit australischer Merinowolle gefüttert, sind die Stiefel wunderbar weich und warm. Ein innen angebrachter Reißverschluss erlaubt eine enge und vorteilhafte Passform, welche deine Alltagsabenteuer verschönert. Beach Mini is rated 4.7 out of 5 by 63. Rated 5 out of 5 by 73Julie from Great Boot! These boots are fantastic. I've had my eye on them for a while and decided to get them for this coming winter. They are fully fur lined and really warm but have more of a firm boot look and feel that make them perfect for wearing at home but also out. I got the chestnut colour which looks really good with denim. Also a shout out to the customer service department, I ordered a size 7 which were way too tight and returned them (with free return postage) and had a size 8 delivered to my door within 5 working days, so I was very happy with the after sales service. Rated 5 out of 5 by Sinn from Love these boots!!! I bought the Beach Mini so I could enjoy the comfort of my Charlotte boot every day without it being so obvious I was wearing wool lined boots, I am not disappointed! The Beach Mini is so comfortable and warm and they look great with everything, I've had so many compliments! I got my regular show size, they were a little snug to begin with but after wearing them for a little while they soon loosened enough to be perfectly comfortable just like my Charlotte boot! I can't recommend EMU Australia enough. Rated 2 out of 5 by Amandanooks from Disappointed The boots which arrived do not look like the pair of boots I ordered. 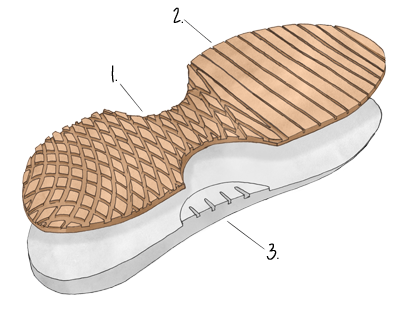 They are completely brown with no detail in tan such as; leather cross stitch and tan around the sole. My boots look like standard boots and do not resemble the stylish boots I ordered. Rated 2 out of 5 by Fizer from Disappointed Would have loved these if the insole didn't come out with my foot every time I take them off. Frustrating!!! Rated 5 out of 5 by DHGG from Satisfied customer I am really happy with my purchase and I wear theses boots as often as needed. They are warm enough for very low temperatures and very easy to put on. I am totally satisfied. Rated 5 out of 5 by Merry from Excellent Warmth My mother has terrible trouble trying to keep her feet warm due to very poor circulation. 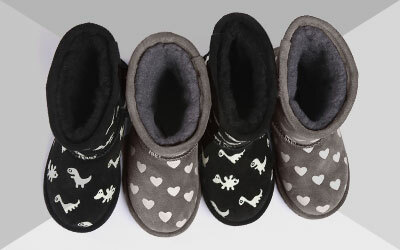 I bought a pair of these for myself a short time ago because they fit snugly just past the ankles, and while I love all my other Emu styles, these are by far the warmest short boots for my cold feet & ankles. And so I encouraged Mum to try these for herself. She did and found them to be as wonderful as I have. Pretty hard to find footwear that suit Mum, so this was a real triumph. She has broad (size 11) feet, so I wasn't sure they would fit, but luckily they did. Thanks Emu for pleasing my Mum so much. Rated 5 out of 5 by Anonymous from Comfy, good fitting boot Bought these as a gift for my daughters birthday. She wanted a shorter, trendy alternative to her Emu Patersons which she also loves. Wears them to her work, when shopping, out socialising. They are perfect for leggings and jeans and easy to put on as they have a side zip. Best of all they are waterproof and can cope with the sometimes harsh Scottish weather. She wears them without socks so likes the fact she can get replacement liners which are pricy compared to some others but that's her only gripe.